Literally meaning ice mountain, an iceberg is a large piece of ice formed from freshwater that has broken off from a snow-formed glacier or ice-shelf and is floating in open water. The size of icebergs varies between one and 75 metres above sea level, with one-tenth of the volume above the water. 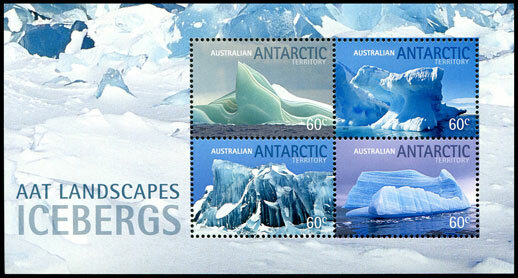 The stamps in this issue capture the beauty of icebergs, showing their different shapes, colours, effects and textures. 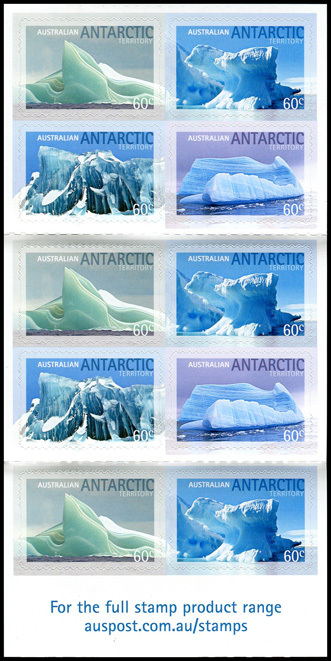 The four stamps in this issue are available in sheets, a miniature sheet and self-adhesive booklets. 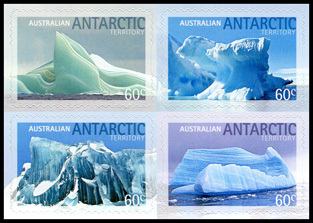 The four stamps are produced in blocks of four within sheets of 50. The sheet of 50 consists of 8 blocks of four, and 18 single stamps. The miniature sheet contains a block of four stamps. 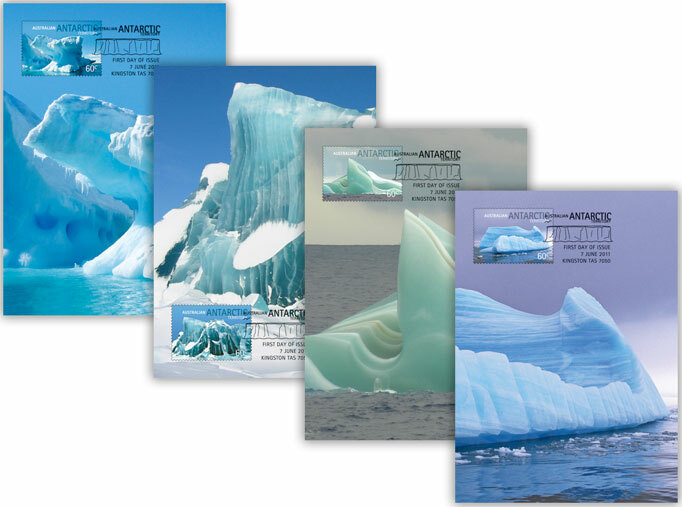 This is the first time an Australian Antarctic Territory issue has been released in a self-adhesive booklet. 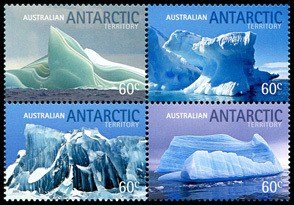 A set of four maximum cards accompany this issue, showing enlargements of the images on the stamps.